Here’s the scoop on my big book project! There will be Food, Drinks, and Music! Plus! 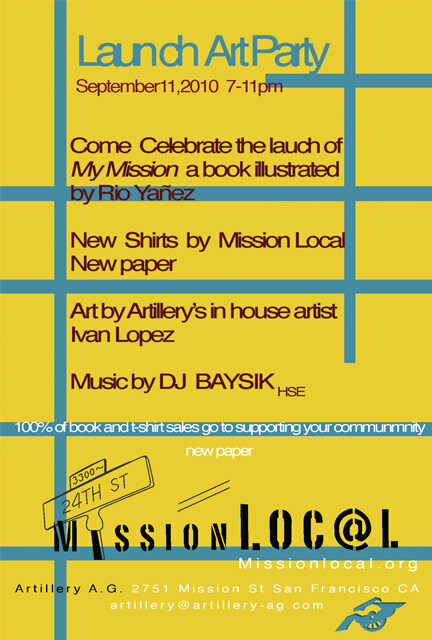 The event will also launch Mission Loc@l’s fly new t-shirts. 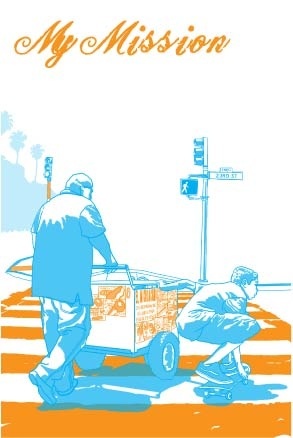 After that you can buy shirts at Mission Skateboards on 24th Street, Artillery Apparel and Gallery on Mission Street or Mission Bikes on Valencia. Each shirt comes with a pin to mark your favorite Mission District hot spot. All proceeds will support future reporting projects. $15 each. 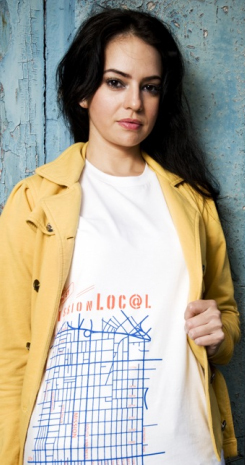 Mission Loc@ls can order one with free delivery by e-mailing staff@missionlocal.org, subject line T-shirt. Here’s a detail of the palatero’s cart from my cover to Mission Loc@l’s My Mission. 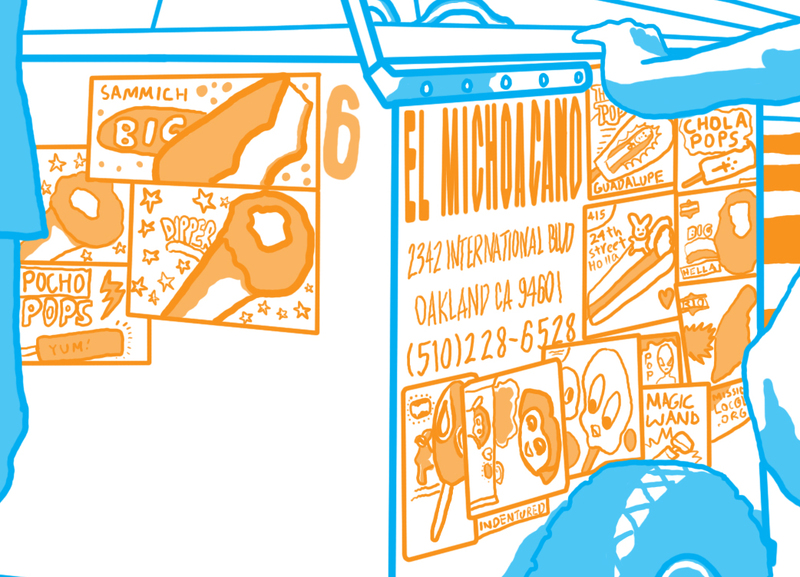 Since the image will be printed relatively small I thought I’d share this detail so my Chola Pops and Hitachi Magic Wand can be appreciated.